Before I became a mommy, off shoulder tops and dresses were one of my favorite trend. 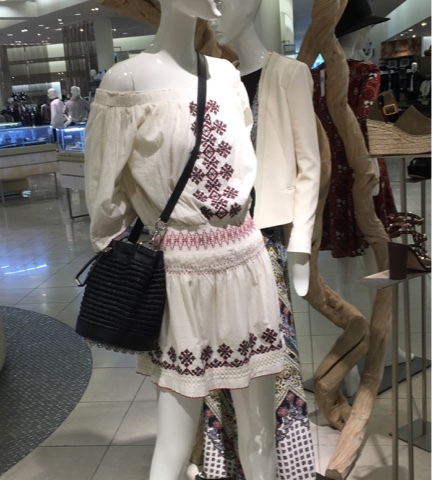 There is something so stylish about showing off a gal's shoulder. As summer is approaching, I am seeing this trend in full force. I love the idea but tot's grabby little chubby hand is giving me horrible vision of him yanking the top downward exposing mommy to the world. On an outing, I braved the horrible thought and put on an off the shoulder top. To my delight, me and my top came home intact. With this new confidence, I proceeded to shop for a piece or two for the summer. 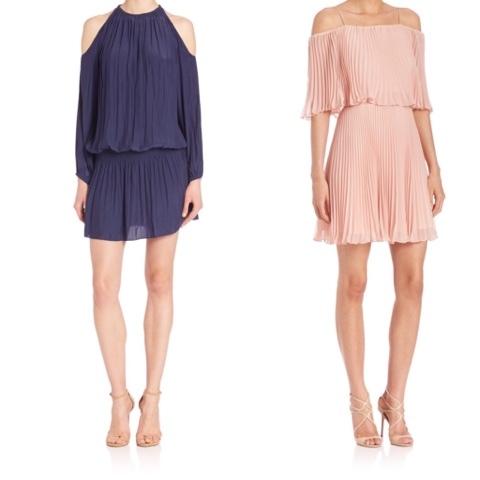 I like both dresses from H&M but the one on right seems to be more secure and easier for parks and activities. 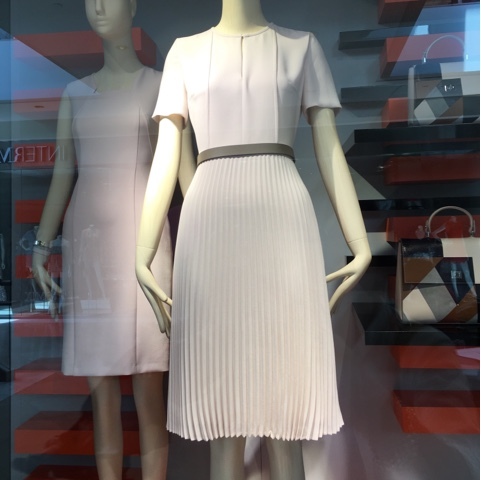 Since I am seeing pleats at various boutique windows, I think I need to find something in pleats too. 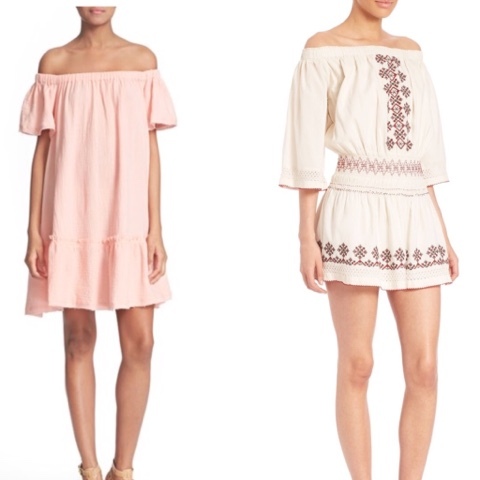 I think I will probably pick a couple pieces up from H & M and hope to make it down to Saks to try that Tularosa dress in person. What about you, how do you feel about this off shoulder trend?